Our gift ideas are easy to appreciate and hard to forget. The talented staff at Zito's have the experience and know-how to create a gift basket that many consider a work of art. 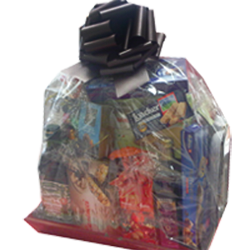 We offer a wide selection of baskets filled with all kinds of gourmet delights. Like homemade spaghetti sauces and hand crafted pasta, along with an array of decadent cheeses, fruit, spices and cured Italian meats. So whether it's Congratulations, Thank You, Good Luck, Get Well, or Happy Holidays, nothing says it with more meaning and thoughtfulness, than an unforgettable gift basket from Zito's. Just send us a message or give us a call ! !